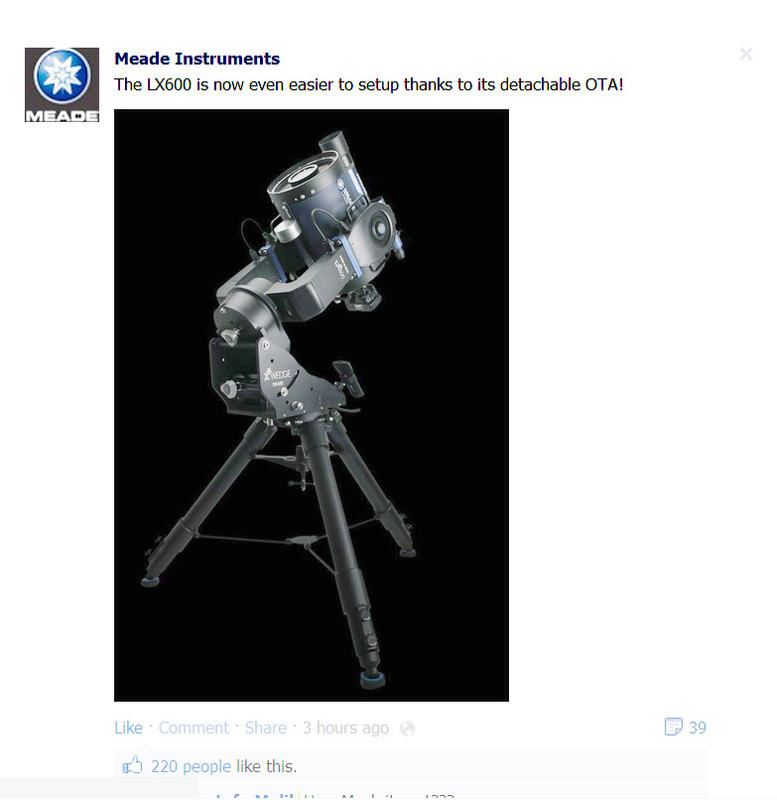 UPDATE: Meade announced today that LX600 telescopes are currently shipping! I guess what I am after is what does the extra dollars for the LX850 get me over the LX600 with the wedge? I selected it for the flexibility to use other optical tubes. When I bought the mount, I bought it with no OTA because I was using an RC at the time. I have since switched to the Meade OTA but I can (and do) swap between that and the FSQ-106N. Have you done any imaging with the LX600? If so how does it compare to the LX850? I have not. The optical tube is identical, so it should be just as good in that respect. I had good luck with the LX200 models when wedge-mounted at my 41 degree latitude. I’d expect the LX600 mounting to be at least as good as those. The folks farther South had stability issues with wedged LX200 models, though. BTW I have really enjoyed your web site. I have been contemplating the LX850 purchase for a while now. This site is a great help to a new comer to astrophotography, like me. Thanks for the kind words. That was certainly one of the primary goals of this blog!